One of the hardest things to do in fitness is to make people see that we don’t have individual exercises, but a continuum of movement. It is a challenge because that is just not how we are taught to think about working out. That is why when I challenge our industry to think bigger, I like to do so with exercises we can relate to and there are few better examples that the kettlebell swing. It is an exercise I fell in love with and played a big part in me changing how I thought about functional training. Yet, I fell into the trap of thinking the only way to improve in the kettlebell swing was to go heavier and/or do more reps. For those that have done kettlebell swings you know it can be an easy lift to get trapped into going heavier and harder upon. So, why would I think about doing anything differently. After a certain point I found a few things happening…. I started to overtrain the movement! Many times when I look at how people write their workouts I look at how many different movement patterns they plan. There are many times where people do a workout like the following…. At first glance, many people would probably be all in favor of such a workout plan. If we go by the human movement patterns though we realize we did all the SAME movements, the SAME way for all three exercises. Meaning we had a hip hinge for all the movements and we do so in the same body position and only changed how we changed the movement of the weight. Understanding different movement patterns of the body makes our training so much more effective and keeps us training long-term. Having done such workouts myself I can tell you that even though you feel smoked, it is long till you actually feel worse as well. It took me awhile to figure out why, but then I remembered something that fitness expert, Paul Chek, talked about in the 1990’s. Back then, machine training was still very dominant and Paul was trying to explain why machines weren’t optimal. He came up with a term called “pattern overload”. After understanding it outside the context of machine training, it made sense to me why even well meaning kettlebell swing programs could be problematic! What happens when we have so much of the same exact movement is we can develop bad compensations, over stress intended parts of the body, and neurologically not become as well developed as we had hoped. That caused me to not be a fan of doing hundreds and hundreds of kettlebell swing reps, rather, planning how to train my body to be powerful, healthy, and highly adaptive. I know, I know, you have been told that the kettlebell swing fixes everything. You know what? It is a REALLY great exercise, but no exercise can fix all. That is why in DVRT we have a system so you can see how we can take a great movement and keep building success in many ways to enhance your real world fitness. So, what do we do? In DVRT we can take a movement like we see in the kettlebell swing and think about our body positions and planes of motion in a manner to enhance what this great exercise has to offer. What does that look like? Building greater stability and body control allows us to create more power. That is why when I help many people wanting to improve their kettlebell swing I look to see how long they spent building these qualities. Sadly, the answer is often not long enough! The result is they can’t progress in their kettlebell swing and they unfortunately start feeling their low backs. Where can we start? DVRT Master, Greg Perlaki, shows a starting in point in how we take the hip hinge and add progression of stability, mobility, and strength. Working through such progressions will allow us to move to some MAX hip hinge work. Such a movement not only challenges our ability to produce power, but resist movement in all planes of motion! One of the hardest things for people to wrap their heads around is the planes of motion we use in movement. There are 3 and we use them in every day life, but in training we tend to stick to just one! 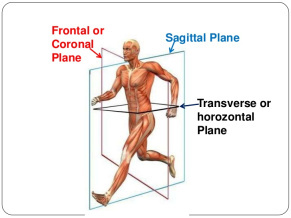 We love the sagittal plane because it is the most stable plane and it makes us feel strong and like we are doing great work. The sagittal plane isn’t a bad guy (the plane mostly used in the kettlebell swing and the two handed swing is almost all sagittal plane based), but we can’t stop at just using one plane of motion. 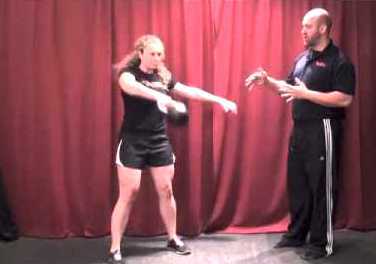 The one arm kettlebell swing brings in the need to resist movement in the other planes and is a great progression of the movement. However, in DVRT we can add another layer by moving through these planes of motion like Greg shows in the following lateral power training series. DVRT Master, Sean Lettero, has shown we can take the idea of frontal plane training to many levels making our concept of the kettlebell swing not just different, but even better. After all, spine expert, Dr. Stuart McGill points out that lateral strength is where most people create low back issues! This leads us to being able to move into rotation. The transverse plane is the most complex and is why we need to build solid layers like Greg shows again. Notice how progression is a key all throughout this series. That leads us into one of our favorite movements, Shoveling! A rotational swing in essence, it shows us what is possible. All of this though isn’t about taking away your kettlebell swing that you love and is working for you right now. However, we could do this amazing thing called periodization just by cycling through these concepts. For example….. This allows us to accomplish so many more fitness goals and avoid the pattern overload that strikes so many well meaning programs. Then you can get to drills like Enrique Ceniceros demonstrates in Shoveling so well!